On June 16, 2018, White Pillars husband and wife duo took on the Mississippi Seafood Cook-Off in Jackson. The annual event can best be described as a collision of culinary talent. The best chefs from all over the state came together and threw down, all in the name of food. 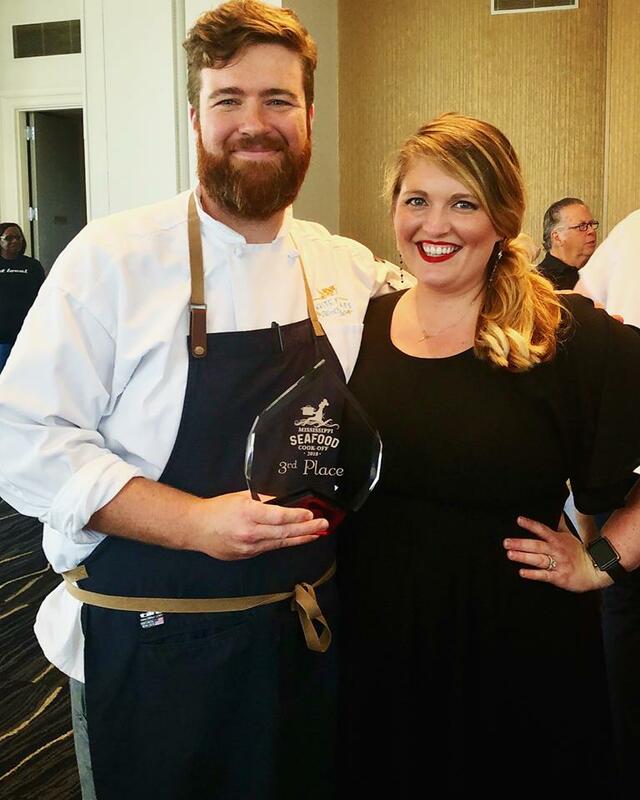 In his first year competing on behalf of White Pillars, Chef Austin won third place with their Gulf Seafood Fusilli pasta dish. They’ve got their sights set on the gold for next year!